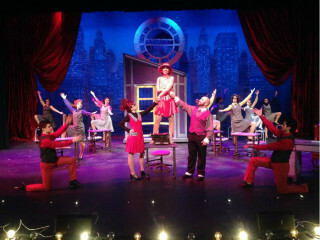 The Bay Area Houston Ballet & Theatre is proud to present s a production of Thoroughly Modern Millie. Set in the 1920's — when girls were interested in becoming "moderns," raising their skirts and cutting their hair — Millie Dillmount moves to New York City to find love and money. This fun loving musical is full of great music and high energy tapping, as the girls in the office help Millie take the "Speed Test" in typing and the perform the show stopping number "Forget About the Boy."